At Heart Institutes we have a dedicated team of cardiologists who work in tandem to provide comprehensive, multidisciplinary care to patients suffering from heart ailments. Our team of doctors, nurses, technicians and other heart experts are there to ensure excellence in patient care with human touch. Heart Institutes at Indraprastha Apollo Hospital is committed to provide health care of international standard at affordable cost. Our highly qualified team of cardiologists along with the latest technology ensures best possible care for a wide spectrum of heart diseases. At Cardiac Electrophysiological department our highly skilled team with advanced technology is always motivated to serve the patient suffering from cardiac ailments. This is a field of cardiology which deals with electrical system of the heart and its abnormalities viz. variations in heart rate and rhythm. It covers patient with palpitations fast or slow heart beating (pulses), episodes of blackout patient at high risk of sudden cardiac arrest. It offer treatments on basis of Electrophysiological study and Radio Frequency ablation pace maker and ICD (defibrillator implantation). Our dedicated electrophysiological team at Apollo having enormous experience in all kinds of electrophysiology studies, radiofrequency ablations, pacemaker and device implantations and resynchronization therapy. Non invasive cardiology is relatively new field dealing with cardiac ultrasound as well as various modalities of stress. It has broad range of applications in which encompasses the entire spectrum of cardiac and vascular disease. It is crucial too the evaluation and management of coronary artery disease, rheumatic and valvular heart disease, cardiomyopathies, peripheral vascular, reno vascular carotid artery disease. Recently, owing to the advent of several percutaneous interventions. It is being increasingly used to guide these interventions. For example device closure of ASD,VSD,placement of stent grafts as well as endovascular laser ablation for varicose veins. At Indraprastha Apollo Hospital we are performing on an average 100-110 basic and advanced echocardiographic and Doppler based procedure including Echo,(2-D,3D and contrast echo, TEE), stress echo, carotic and vascular Doppler studies, dyssynchrony evaluation. 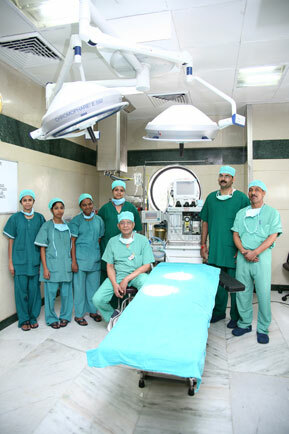 In addition this lab is extremely busy with TMT and performs 60-70 such procedures everyday. 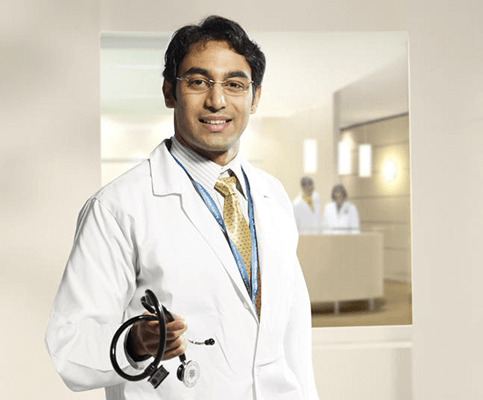 Cardiology Consultants and Interventional cardiologist are available round the clock. Two fully functional cath lab equipped with L. F. airconditioning shadowless operating lights, electronic cardiac tables, multichannel monitors, defibrillators and advanced micro vascular instruments, guarantee the best cardiac care to the patient at par with international standards. 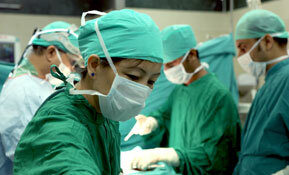 The division extends its services to significant number of international patients. A substantial number of patients from Iraq, Afghanistan, Pakistan, Bangladesh, Nepal, Ethiopia, Nigeria and Sri Lanka have availed of our services in addition to a few from USA, UK and Europe. A 17 bed dedicated and fully equipped intensive care (adjacent to the cath lab ) provides 1:1 nursing care by specially trained nurse’s day & night. While the Intensive care is being actually attended by Registrars and residents, what sets Apollo CTVS ICU apart from other is the supervisory vigil kept by the dedicated team of anesthesiologists. Management of patients on anticoagulants.